Q: Themes of spirituality run throughout your book. How important is spirituality to healing from a catastrophic loss? 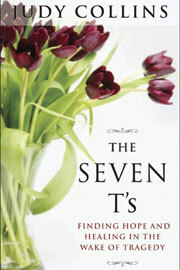 A: I wrote the book THE SEVEN T’S after I had written a book called SANITY AND GRACE, about suicide, particularly about my experiences with the loss of my son to suicide in 1992 and my own experiences with my suicide attempt as a teenager. I always have a lot of empathy for teenagers who feel kind of blocked off and challenged, and, you know, so much is coming at them at that age. And I also wanted to talk about the way that I was able to get through that terrible and difficult loss. I was going to only address suicide survivors in THE SEVEN T’S, but I realized, after talking to so many people in survivor groups, that there are a lot of things that are similar to catastrophic loss or sudden loss. But also there is the issue with suicide that is particularly pertinent only to suicide, and I wanted to talk about the things that I did. A lot of them are spiritual. A lot of them are just practical, and I thought that it would be a practical way to reach a peaceful, spiritual — some kind of grace around loss. That’s not easy to do and it’s not easy to say. I think everybody grieves in a different way, but I wanted to tell my process. It involves a lot of meditation. I think life, in general, involves a lot of meditation of some kind, whether you like walking by a river or whether you like a formal kind of meditation. There are other very practical things like getting up and getting a good meal, and making sure that you have therapy. That is very necessary, whether it’s talk therapy or whether it’s art therapy or music, and I have found music to be a spiritual aspect and also very healing. Q: In what ways has music had a spiritual aspect for you? A: The things that count to most of us are not things we can touch, and they’re not things we can even describe. The things that move us and that change us, I think, and nourish us are music and art and painting and singing and all the things we can’t see. We hear them. We look at things. We internalize things, but we can’t really say what is it about hope? Hope — you can’t touch it. Pain and loss — you can’t touch it, but you know you feel it. So the things that I feel are the most important things in my life — love and hope and courage and attitude — and so all of my life, with music, I have had an inspiring kind of other-worldly voice or voices sometimes, whether it’s Mozart or whether it’s Pete Seeger or songs that I — or whether it’s pop music, whether it’s Lennon-McCartney. It’s always mystical in a way, and it heals me, and it heals other people. I think I was given music so that I could get through life and be the first participant in the healing — of making my own music. Q: One of the T’s is transcendence. That’s part of it, isn’t it? A: Transcendence is a very important piece of recovery. I’ve used my own experience in getting through this difficult time and the things that I’ve learned in the now 15 years since my son’s death, and I think that a lot of my present mental health is because I’ve been able to talk about this. I’ve been able to go to therapy. I have been able to talk to other people who’ve gone through these things. It’s very important to find somebody who’s experienced something like this so that they can help you, and there’s something very intimate and spiritual about just talking with someone about it. When I do book signings, for instance with the book about suicide, I go to, of course, to perhaps a keynote speech and then I sign books afterwards for, sometimes, mental health groups, sometimes suicide prevention groups, sometimes general mental health, sort of body, mind, and spirit groups which I work a lot of with, because I base a lot of my own recovery on alternatives, on meditation, on exercise, which I think changes my mood and makes me feel better and calmer and physically better as well as mentally and emotionally better. So in those talks with people, after I do my sharing, I then get to meet people and talk one to one when they come to have me sign books, and quite often I’ll find the dialogue is that we are sharing our stories. They’ll tell me what happened with them. I will tell them what happened to me. Over the course of time, of course, you don’t think about transcending or getting over this quickly or let me just get through this, let me just get through today, and that’s part of what I think is very practical about THE SEVEN T’S — truth and trust and treasuring and therapy and treating yourself well. I find that the transcending idea of appreciating being alive, which I certainly didn’t feel at first, has come slowly but surely, and with it a conviction that there is, in a sense, a kind of cultural responsibility to have the most joyful and the most productive life that I can, even in the wake of that kind of loss, that particular loss in my case. But you go through, and you go to another place. It’s not the same. It’s different. It’s changed. You’re changed. That’s a transcendent experience. Q: You write in the book that you think loss is part of God’s plan. That’s a hard thing, I think, for people to hear, especially people who want to have an image of a loving God or an ultimate good. How do you tell people that? A: I don’t know about other people’s beliefs, and some I know about don’t make me very happy. But my own has evolved over the course of years. I was originally raised as a Methodist with very, very free-wheeling Emersonian philosophy thrown in. So my mother’s a Unitarian, and I’m probably a humanitarian — I don’t know. But I believe in a lot of things that caught my spirit when I was young. Music was the most important, but the idea of forgiveness and the idea of resurrection in terms of every day is a brand new day and every moment is a chance to renew your efforts to be the best you can possibly be and be the most of service that you can possibly be. I don’t doubt that trouble is here for us to solve. I think our whole attitude about what comes to pass in our life is — I have a friend who says each trouble is absolutely, perfectly crafted for what I need to go through in order to grow. I happen to believe that. And it’s not that I believe in fate and we’re all, you know, destined to live out a certain way. But I don’t think that people learn about certain kinds of things in life unless they experience loss. And we’re losing from the time we get here. We lose our parents. We lose our friends. We lose our innocence. We lose a lot of things. Hopefully a lot of the habits that we developed to get through life can be removed if they are destructive, for instance. So we’re always changing and we’re always, hopefully, with help — and I need all the help I can get from all kinds of sources. So I don’t just limit it to prayer or meditation or therapy or music. But I also trust and very much need my friends and my family to go through what life presents, as they need me. Q: You mentioned your Methodist background. To what extent does that still have an influence on you? Methodists are known for their hymn singing, their music, but are there other aspects of it? A: Well the hymn singing really was major in my life, because I was in the choirs. I was in the choirs in school and in church and in the operas that Dr. [Antonia] Bricco conducted, you know, Pagliacci and Eugene Onegin. And so I was always singing or in a choir or some kind of group or solo singing myself. So the hymns really stir me. The hymns are very uplifting. And, of course, Amazing Grace, which I’ve found — my grandmother taught it to me, and then I sang it during the ’60s and the ’70s and recorded it. It’s always meant a lot to me. It’s always meant transcendence, and it doesn’t matter what religion you are or what gender you are or what belief you are, what country you come from. It always seems to move people, and I think it’s because grace comes in all kinds of packages. Q: Does it still mean something to you? You’ve sung it however many hundred thousand times. Does it still have that meaning? A: Well, it has to. It has to. I mean, otherwise I would have to stop singing it. But my idea about music and about art is that you always treat it as it’s the first time you’ve ever heard it and the first time you’ve ever sung it, and hopefully the first time anybody else has ever heard it, trusting that they might know the words. Q: How does that fit with your practice today with Self-Realization Fellowship? A: I found SRF http://www.paramahansayogananda.org/ and I’ve done a lot of different kinds of meditation. I would go and hear Krishnamurti. I read a lot of spiritual books. I just like them. I’m reading Stephen Mitchell’s book right now called THE GOSPEL ACCORDING TO JESUS. People have told me that — my husband, who was a Lutheran, grew up with what they called a red-line Bible. These are Bibles where it’s just the words that Jesus actually spoke. I think of Jesus as a total rebel because he was saying things that were completely out — forgive your enemies? Are you kidding? What a concept — very revolutionary, actually. So I read a lot of I guess you would call it Bible stories. I’m fascinated by this person who was at the same time healing and taught us a new way to look at things. I’m fascinated by the process of how the Eastern religion fits into my life, how Buddhism may affect me. You see in the house there are a number of Buddhas and figures. There’s St. Francis, too, but there are a lot of Buddhas from around the world. When I made my movie about Dr. Bricco, my great teacher, Antonia, and I had known her for years, and she was a very — she was Dutch and Italian and very — there was Beethoven in one corner and there was Sibelius in another, and she conducted orchestras and wanted me to be a great pianist, and she was a very serious person. It broke her heart when I decided to sing folk music. And as the years went on and I wanted to tell her story in a film, I got a film crew together and went to Denver. Fifteen years, I guess, after I’d stopped playing – fourteen maybe. And in photographing, as you do, you go around and photograph the tchotchkes in a person’s house, and there was a little picture of Yogananda, and I thought, “What is that doing in here among the Beethovens and the Brahmses and the Debussys?” And I never asked her about it. I just kind of let it go. It sort of goes by in the movie and nobody ever mentions it, and I doubt if many people noticed it. And then, in the late ’70s, she and I were seeing a lot more of each other. She was coming through New York more often. And I had gone to Europe with her on the QE-2, first and only time I ever did that. And we were having lunch one day and she said, “Do you know anything about crea-yoga?” We were talking about her childhood and how difficult it had been. She was a foster child and had a rough time. And I said, “I don’t, no, I don’t know anything.” And she said, “Well, I want you to read Yogananda’s autobiography.” So that was the beginning. I read the book. I found out about him as a guru, as a teacher, as a meditator. He’d been her friend — I mean he was the person who convinced her that she could become a conductor when everybody else said, “Oh, no, you don’t want to do that. That’s not for women. That’s only for men.” So this has impressed me a lot, and I began by reading the book. And then I sent away for the meditation lessons, and eventually I was confirmed as a person who practices SRF, and it’s, you know, they say, you know, it’s not a perfect practice. You’re just trying to make progress all the time. But I do love it. When I did that meditation, which has a series of — yoga as you begin the meditation, I said to Louis, I remember saying, “Oh, this just does it. This is what I’ve been looking for.” So, consequently, I’ve stayed with that practice, and it’s very — it’s very comforting. It’s very revealing. It works. I think you have to find the things that work. And anything — I’ll do anything that works, if it’s walking by a river, if it’s joining a chorus, if it’s going and getting therapy, if it’s, you know, whatever it is. I try to be available to a solution. But, in terms of loss, my own personal voyage with this loss, I think it’s been essential. I don’t think I would have — I don’t think I could have made it, really. I just don’t. I don’t know how people do without that kind — without the inner battles. And, for me, the inner battles — I’m, as you know, relatively political. I’ve been active pretty much most of my life. But I do feel strongly that the first order of business is the inner wars, and, you know, you have to fight them when they — the way you can. Q: What does your spiritual practice involve? How often do you do it? Do you meet with a group, or is it personal and individual? A: I don’t meet with a group, although I feel that Daya Mata at SRF is sort of my guru, my teacher, and I talk to her from time to time. But I do the practice on my own, and that seems to be satisfactory. Q: How often do you meditate? A: I try to meditate in the form of the meditation which involves a lot of different kinds of breathing and silence and prayers. I try to do that a couple of times a day. I can do it in a car. I can do it on a plane. Sometimes — and it’s great to be able to formally sit, which is wonderful, but I can’t always do that, but then I’m not — I don’t have to be perfect. I think that draws people away from certain kinds of meditation. They think it has to be perfect and they have to go to that ashram, whereas Yogananda and a lot of other gurus talk about “the householder.” If you can get in touch with God at, you know, on a mountain by yourself, you can certainly do it in your own home. I love that idea that I can be a participant in life and still be on a journey that’s a spiritual journey. Q: It seems to be a real blending of East and West. A: Well, what I do is a blend, because I do other things, too. I do a lot of reading in other areas, and I love to go to church. I go to church. I was married in the wonderful Episcopalian [Cathedral of] St. John the Divine. I love the music. I love the ceremonies. I identify — you know, they say, which I think is really true, that if you’re doing one practice, any one of any number of practices, that if you are doing it in a serious way the other kinds of practices and kind of traditions will open to you as well. And I think that, in my case, I think I’ve found that that’s true. So although I may not believe in reincarnation specifically, I act as if it’s true. Q: Looking back on all the different twists and turns, how would you describe this spiritual journey you say you have been on? A: They say that your heart knows what it is you’re supposed to do and that if you can get quiet, that you can be led, and I think that’s true for all kinds of things. I think it is part of the creative process. It is part of the, you know, whether you decide you want to paint a tree or a house or a person or whether you want to go to Europe and study painting. It’s all that — those inner voices. And I think we get quiet enough and then we hear them, and that’s true also for what we do in our daily lives. My daily process is to try to do what I call morning readings, and I try to put things in my morning readings that are inspiring and that tell me, from other points of view, what’s good for me and what has worked before, and sometimes I also read more difficult things in that period because I’m quiet and I can absorb and learn something. Everybody has different habits that are healthy. My work process is very focused, because I’ve been a concert performer for so many years and I know that I have to show up at a certain time and I have to work for a certain length of time, and those habits get ingrained over a course of a lifetime so that you know things that work for you and things that don’t. It’s a learning process, but I think you always have to kind of — I have to move things aside a little bit so that I can be available for the thoughts and the ideas and the inspirations. It’s very important. Q: Where do they come from? A: I don’t know what I would call it. I think there’s a force in the universe that is available when I get desperate enough to reach out for it. And, actually, as a habit, I try to give myself the silence, and let that happen, whatever that is. I choose to call the protective nature of my sense of being guided God. But God is a funny word. People use it differently for different things. I probably mean something bigger than I can see and more powerful than I am. Q: How healing was working on the song “Wings of Angels,” about the loss of your son? A: It was very important for me to get back to my writing, and it took me quite a while, and when I was able to, I then found a way out. I had started right away writing meditations every day, and the meditations that I wrote right after Clark’s death, in the year that followed his death, formed a lot of THE SEVEN T’S. That’s where a lot of the quotations in THE SEVEN T’S came from. I collected quotes. So it’s 15 years, going on 16 years that I was doing that. I didn’t ever have a place to fit them in with what I was writing about other subjects, about suicide and about creativity as being a help through surviving. And when it came to writing THE SEVEN T’S, I found all that material was there. The quotes were there, the process was there. 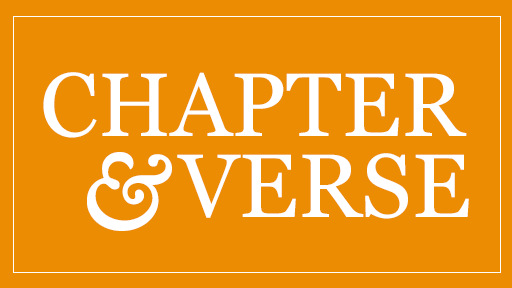 I just divided it into a series of seven chapters devoted to the seven, I think, essential ingredients in getting yourself through a difficult loss. But the song-writing was a parallel healing experience for me, and all those songs that I wrote coming through that loss — “Wings of Angels,” “Singing Lessons,” a song called “Checkmate,” a song called “Voyager” — these are things that I did record and have recorded on my last couple, three, four albums. They hung around for a long time before I had the courage to sing them, before I could bear singing them, and so it just takes time. I don’t think that there’s any doubt that those things helped me, and when I sing them they help me, because I’m very close to my son and, you know, he’s never disappeared. One thing I was told by a healing counselor after his death — I went to see before I went to his funeral, actually, in Minnesota, and she said, “You may not be thinking about this, because you may not realize it, but the dialogue with your son will never be over.” And that’s a great comfort, because I have dreams of him, and he’s, you know — I think about him. I kind of refer things to him sometimes, and he’s around here somewhere. I do think that the combination of different ideas about how do you heal from things is very important, and it’s a multi-layered — it’s not just one thing. It’s not just getting therapy, or just doing art, or just talking with your friends, or just meditating. It’s all these things combined, and I think that art and music [are] a huge part of this — very, very important. That’s why it just breaks my heart when I hear about schools that have taken the music out and art out of their curriculum, because it’s more important, quite frankly, than math for people to understand how to get through life, and to make it rich and meaningful.